In 2018, Brigham Young University became one of the first academic institutions in the nation to explore blockchain technology from a cross-disciplinary perspective with the creation of a new annual event, the BYU Blockchain Summit. Hosted jointly by BYU Law School and the BYU MBA Program, the BYU Blockchain Summit explored the various opportunities posed by blockchain technology, and how those opportunities affect our current systems of business, communication, security, and social interactions. In 2019, the BYU Blockchain Summit will continue this conversation by highlighting present use cases in blockchain, with specific emphasis given to the challenges encountered by institutions as they seek to develop blockchain-related applications. Through a blend of business, tech, and legal perspectives, industry experts will discuss where roadblocks to innovation occur, and how these roadblocks can be managed to advance innovation and application of blockchain technology. The BYU Blockchain Summit will be held on February 15, 2019, at the Brigham Young University Gordon B. Hinckley Alumni and Visitors Center in Provo, Utah. The BYU Blockchain Summit is a student-led event, organized in joint-collaboration between BYU Law School and the BYU MBA Program. 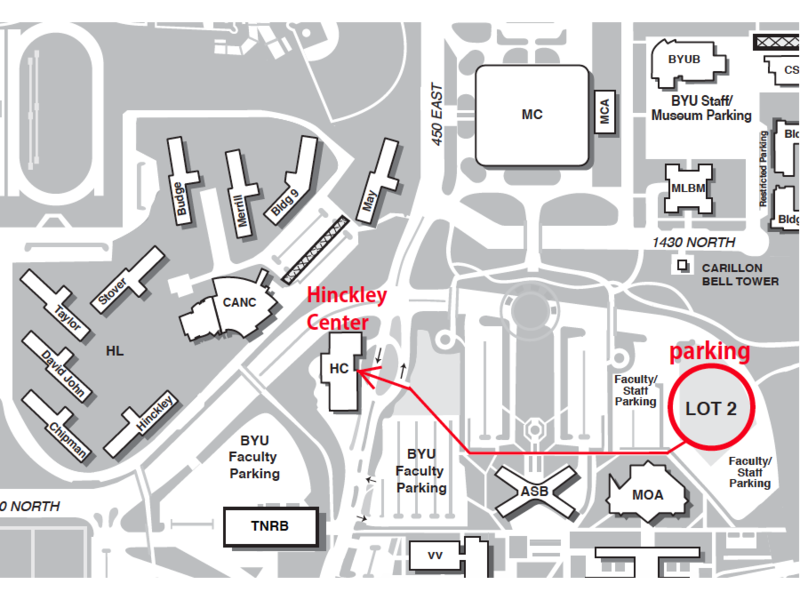 Free parking is available for BYU Blockchain Summit guests in Lot 2 near the BYU Museum of Art (see map). To access Lot 2, enter BYU's main campus by heading east on 1230 North and through the roundabout to the parking attendant gate. For more information on the 2019 BYU Blockchain Summit, including information on accessibility services or dietary restrictions, please contact Alex Westenskow at alexwest@law.byu.edu.